How was everyone’s summer?? I’m sorry for the silence! I’ve been stockpiling some wonderful wine and travel updates that I’ll be sharing here soon. 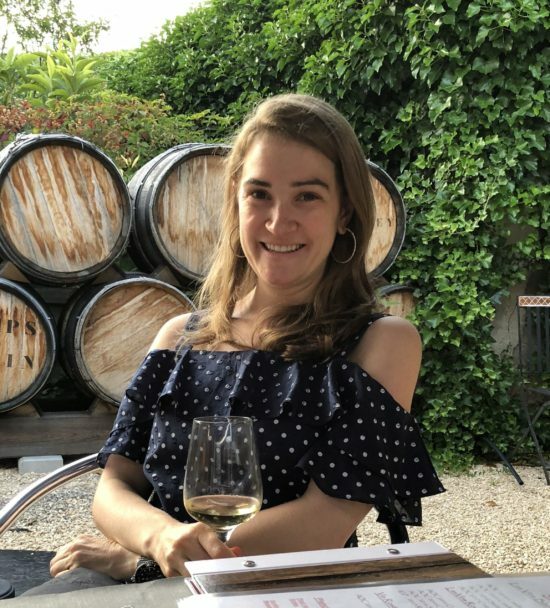 First up: my experience wine tasting in the Jura. 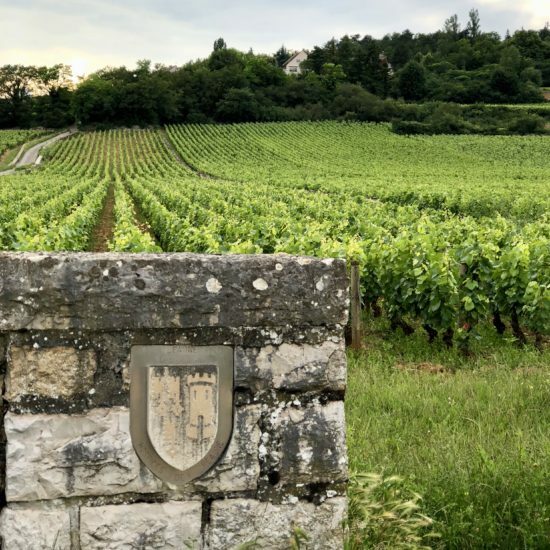 I started my summer with an amazing trip to France; visiting the northern Rhône, the Jura, and Burgundy. Our first day in Jura we visited Fumey Chatelain. This region was entirely new to me, and remains relatively unknown in the States. 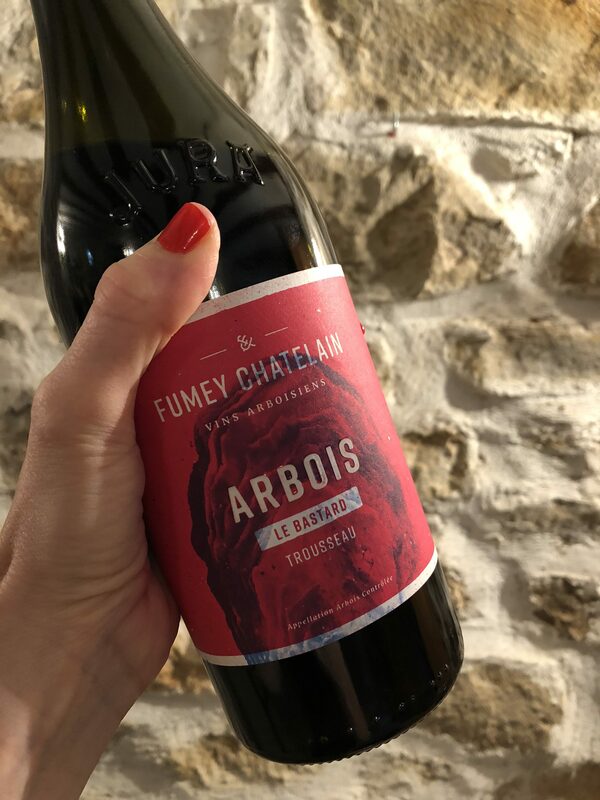 Unfortunately Fumey Chatelain is not currently imported to the U.S. but I highly recommend planning a visit! 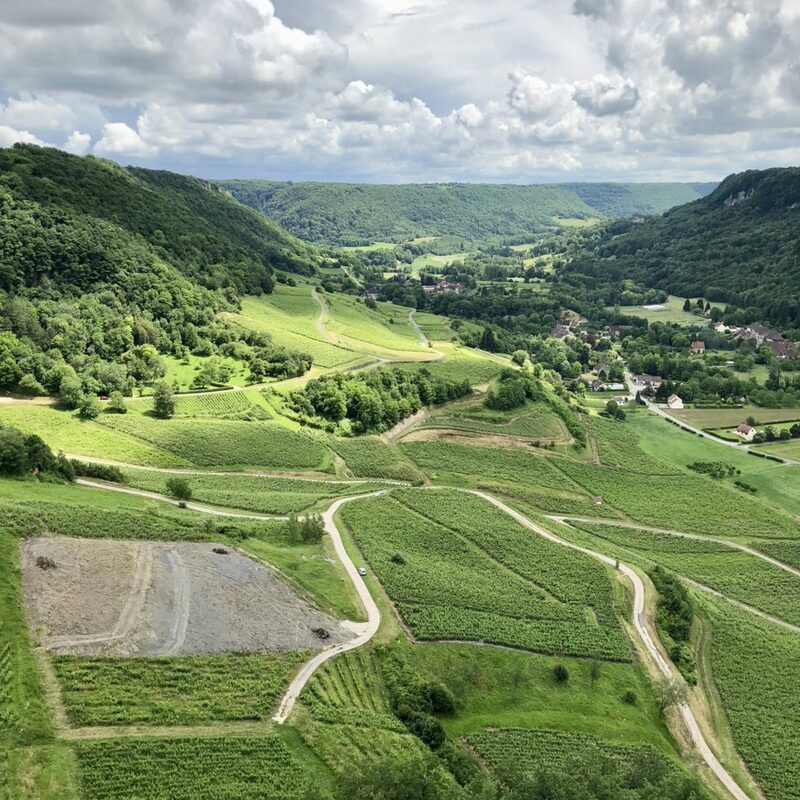 Raphael and Adeline, and now their son Marin, manage 15 hectares of grapes located just outside of Arbois, in the town of Montigny-lès-Arsures. The wines are naturally made, with no artificial yeast and little intervention in the field or cellar. Adeline welcomed us into the “vault” for a tasting through their impressive line-up. 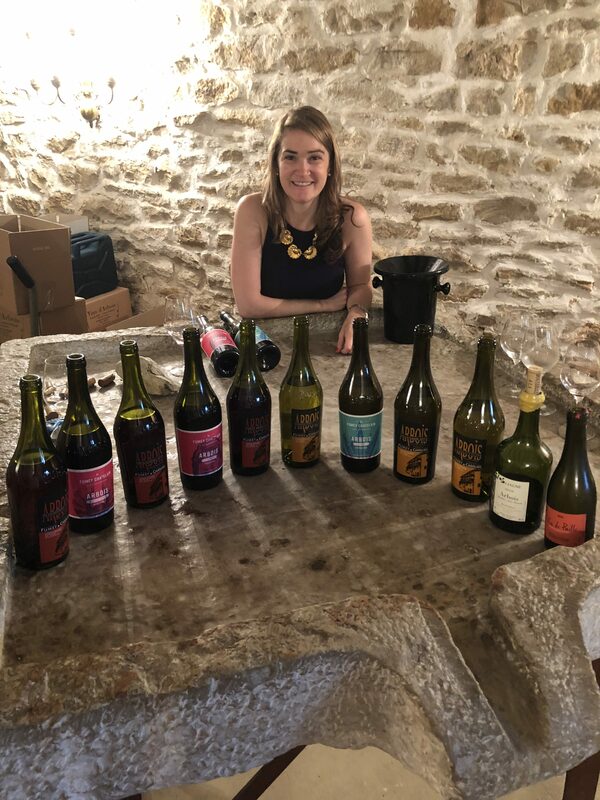 For such a small operation, they make a wide spectrum of wines and she was kind enough to taste us through them all! 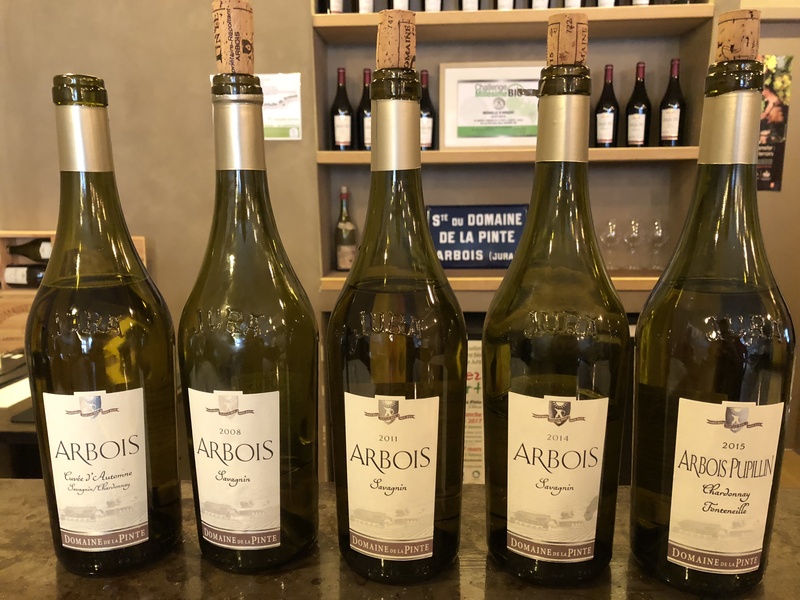 This was my first time really tasting local grape varieties Trousseau, Ploussard, and Savagnin, as well as Vin Jaune, the slightly oxidized local specialty made from the Savagnin grape. 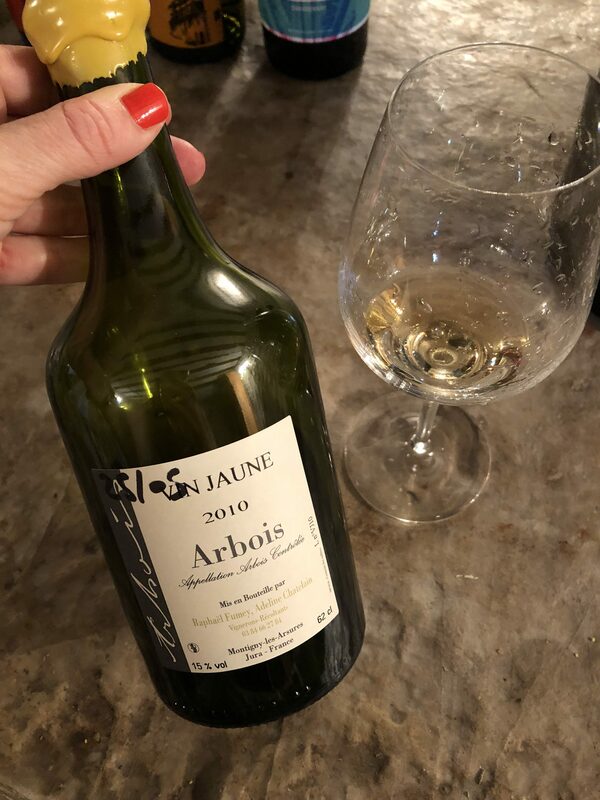 It’s certainly an acquired taste, with the oxidative properties similar to Sherry, but it is a wonderful food wine and pairs well with the local specialties like Comté cheese and coq au vin made with Vin Jaune and morel mushrooms! 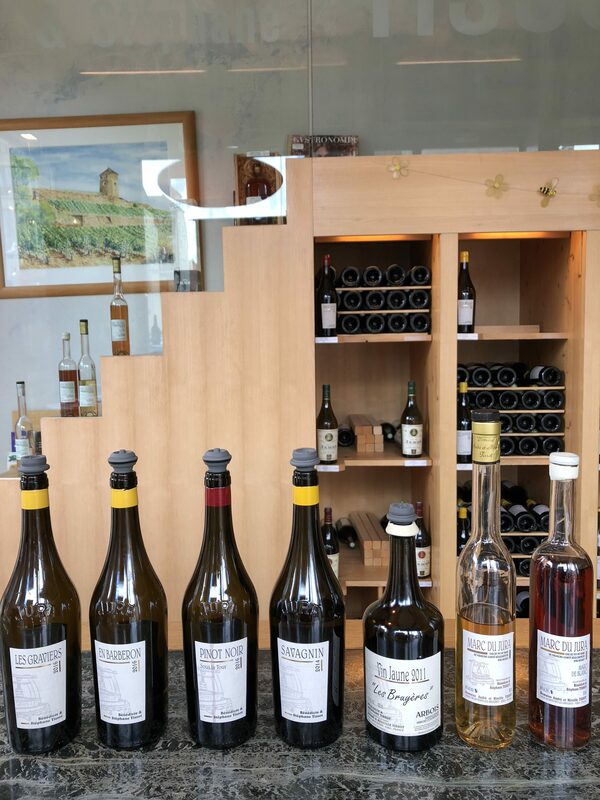 In the town of Arbois, right on the main square, you will find the tasting room for Stephané Tissot. Their wines are more widely available and I highly recommend seeking them out! And lastly, we walked next door to Domaine De La Pinte, another relatively well known Jura producer. We tasted their range including some older vintages which made for a great comparison. I can’t wait to share my full Jura travelogue with you. 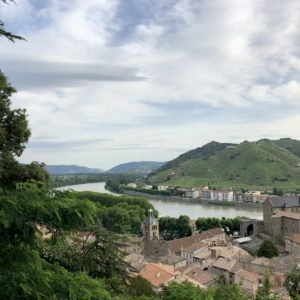 This region is so unbelievably beautiful and a perfect combination of wine, food, and the great outdoors! 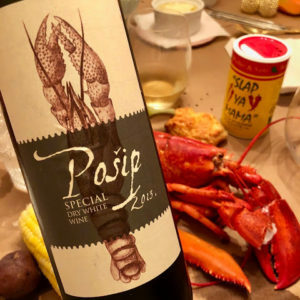 Pingback:	Wine Wednesdays – 2015 Domaine de la Pinte Fonteneille Arbois Pupillin Chardonnay – Chardonnay Moi – Food, Wine, Travel and Fun!